Game warden applicants in the state of Hawaii should be prepared for a highly competitive job market, both at the state level and with the U.S. Fish and Wildlife Service. Due in part to the limited number of positions available as well as the commitment required to get through the application and selection process, not to mention the challenges of the job itself, game warden applicants are encouraged to have a strong background in biology and ecology, communication skills and physical agility. Typical job responsibilities include evaluating animal habitat and wildlife health, habitat damage assessment, as well as educating the public on the natural habitats and game within their jurisdiction. The typical game warden is hired to serve a particular region, and is typically responsible for managing all of the fishing, wildlife and habitat issues that may occur within that jurisdiction. Applicants are carefully evaluated by hiring personnel in order to find the most suitable candidate, so given the tough competition it is important for potential candidates to understand the selection process, qualifications, and additional requirements for the role in order to fully prepare before applying. Hawaii is one of the most diverse states in terms of natural habitats, making it challenging to enforce conservation and protection efforts. Men and women who have a passion for both law enforcement and the outdoors are encouraged to consider joining the Division of Conservation and Resources Enforcement (DOCARE), which operates as a subsidiary of Hawaii’s Department of Land and Natural Resources. Sometimes referred to as game wardens, the officers are more often called DOCARE Officers or Conservation and Resource Enforcement Officers (CREO). Regardless of their title, DOCARE Officers dedicate their profession to protecting and advocating for the island state’s natural resources over the eight main islands by enforcing laws and regulations that control the activities of sport hunters and anglers, while also enforcing other laws as required. Given Hawaii’s ecological and logistical diversity, the role is a challenging one and varies slightly from department to department, meaning that all candidates must showcase that they have the knowledge and experience to be considered eligible for the job. License: A valid Hawaii-issued driver’s license is required. Interview: Candidates will have an oral interview to evaluate experience and knowledge in the areas of hunting, fishing, boating and related outdoor activities. Appearance, demeanor, verbal skills and ability to make ethical judgment will be assessed at that time. Medical evaluation: The candidate will be in ‘good’ medical health. Vision: The applicant must have better than 20/40 corrected vision with both eyes. Demonstrate effective use of English including grammar, spelling, punctuation, vocabulary, and composition. Reading and comprehension for oral and verbal communication are required. 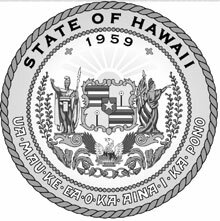 The Hawaii Department of Labor and Industrial Relations reported that game wardens in the state earned an average salary of $55,930 as of 2015. In contrast, game wardens in the Honolulu metropolitan area averaged $54,660. The US Bureau of Labor Statistics provides a detailed breakdown of the salaries for Hawaii’s game wardens as of 2016 showing experienced game wardens earned salaries that, on average, were more than $15,000 higher than the state’s overall average. Wardens earning within the top 10% earned an average of $73,420 a year.